City Councilman Breean Beggs racked up 56 percent of the vote against two challengers in the District 2 primary. This is what the 10-person Spokane City Council field looked like Tuesday, and here's how the three council races stand, broken down by district, after a primary election that has now seen 22 percent of eligible voters in Spokane County mail in their ballots; the top two vote-getters in each nonpartisan race advance to November's general election. 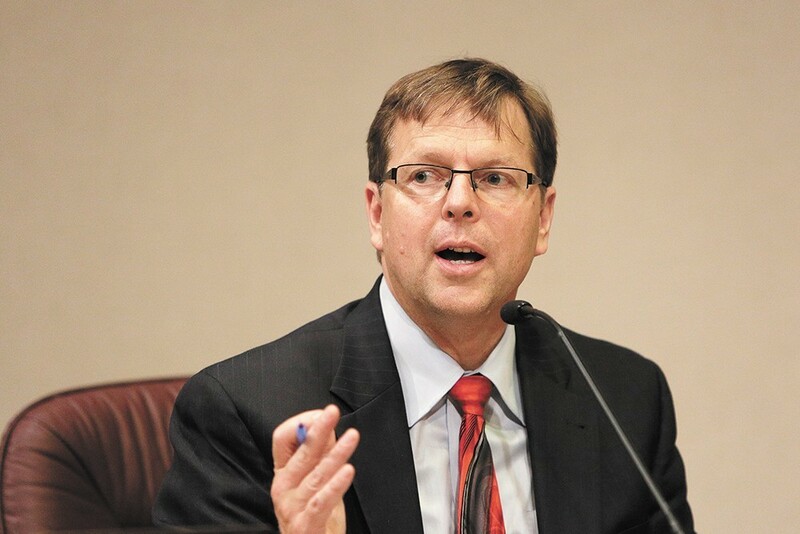 • Tony Hazel, appointed to replace the late Sam Cozza in May, received nearly 52 percent of the vote against two opponents in the race for Superior Court Position 6. • Liberty Lake voters emphatically rejected a $9 million bond to build a new community center near Town Square Park; more than 61 percent percent voted "No." • Incumbent Mike Wiser is way out in front in the race for Spokane School Board Position 5, with 58 percent of the vote in a four-way contest. The New York Times reports the Justice Department plans to investigate and sue U.S. colleges and universities over what it calls "intentional race-based discrimination" — affirmative-action admissions policies that it claims discriminate against white applicants. The Hill writes that the Pentagon plans to buy two Boeing 747-8 aircraft abandoned by a bankrupt Russian airline to become the new Air Force One. Trump, citing "out of control" costs, has threatened to cancel plans for a new presidential aircraft.